Are you tired? Are you tired of fancy (or not so fancy) baking books by fancy chefs with even fancier recipes that just don't measure up to all that hype? Are you tired of recipe failures while on a ski holiday or just because you live above 3000 feet? Are you tired of passion fruit foams and green tea cookies when all you want is a chocolate chip cookie recipe that will work every single time? Do you need a pie for the long summer weekend; or a quick, yummy after school treat; or a simple cake with effortless style to make your neighbors jealous; or a truffle that will awaken the mad passionate desires of your lover and make them beg for more? Psssst, do you want a chocolate chip cookie now? No, I mean a really good chocolate chip cookie? Well, let's make that chocolate chip cookie together. It's easy and I can show you how. Come with me on a family journey through baking where the luck of the Irish gives way to solid science and produces a collection of family baking favorites that your family will cherish for years to come. This debut collection from Irish-trained chef, Chris Reynolds, celebrates the landscape of his family's baking tradition and contains 323 "master" recipes and 582 recipe variations. This cookbook is a wide-ranging, comprehensive collection chock-full of beloved classics like chewy gingerbread cookies, triple-chocolate brownies, jalapeno cheddar corn bread, shoofly pie, sour cream coffeecake, fresh peach ice cream, crunchy granola, and the best pizza crust ever. This is an inspired collection of classics and contemporary twists where we tease traditional flavours and let you know you've just had something special. Classics with attitude and altitude. You'll learn that it's possible to serve a from-scratch comfort food classic like buttermilk biscuits on a weeknight when time is tight or a high-altitude cake on your skiing holiday that won't fall flat. In addition to foolproof recipes, all the recipes were tested at high-altitude by the author, himself. Each high-altitude adjustment is precise to give success at 5200ft (Denver, Colorado). 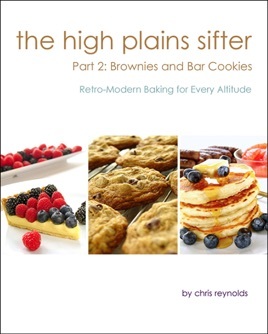 In addition, each chapter introduction gives insights into high-altitude baking and tips on adjusting your own recipes. Chris Reynolds is a professional baker trained at the Ballymaloe Cookery School in Ireland by the famed cooking teachers Darina and Rachel Allen. While he embraces an artisan philosophy, emphasizing the freshest organic ingredients, sound techniques, and from-scratch baking; he's also well aware that stirring a caramel on the stove for 90 minutes is a drag. "I wanted recipes that people would embrace, enjoy and actually make. No one, not even me, is going make a cookie that requires me to stand at the stove for 90 minutes. That's just not practical in our modern world." 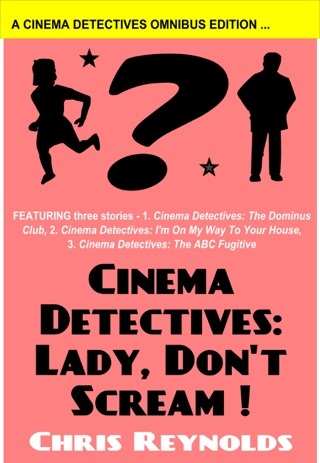 This book embraces a "retro-modern" approach. Old-fashioned recipes are updated for modern life. That could mean streamlining the steps, using modern flavour combinations, using different techniques to give fool-proof results, or even scaling a recipe to feed a family of four. If the easy, care-free recipes don't grab you, then the stunning full-colour photos of every recipe surely will. This book is a delight for the eyes as well as the palate. This is homey, doable baking at its best - a lively, in-depth portrait of a family who loves to bake. Pass me another truffle!